On February 13th, The Stables joined a record 67 sponsors on a beautiful sunny day, which, combined with a spectacular setting made the Third Annual Concours in the Hills its most successful event yet. The show grew again to 514 cars including a rare LaFerrari and a vintage Ferrari Daytona Spider and, not one, but two Bugatti Veyrons. For the first time the Concours included a racecar display featured Arie Luyendyk’s Indy 500 car, two Gulf Mirages kindly loaned by Harley Cluxton III and the Discount Tire NASCAR Mustang. A record crowd was estimated at 15,000. 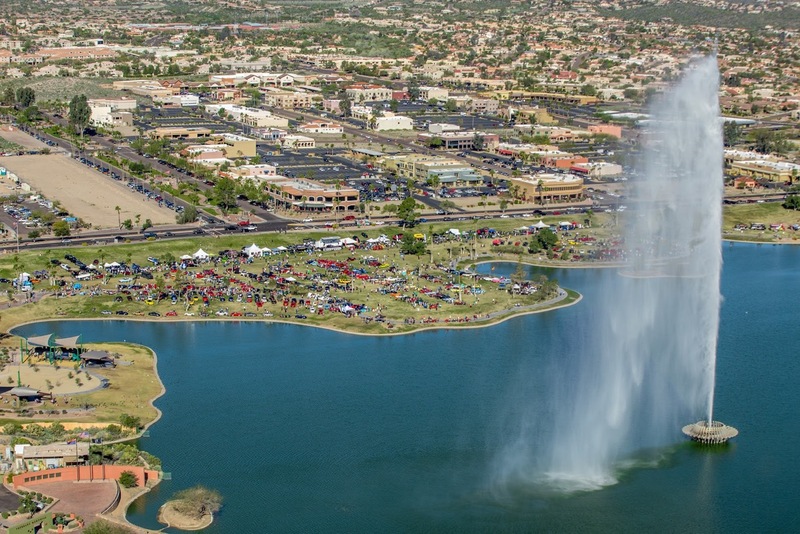 In just three short years, Concours in the Hills has grown to be one of the largest concours car shows in Arizona making it a must see for even the most casual auto enthusiast. 2017’s date is Saturday February 11, with a hopefully unnecessary rain date of February 18. See you there! Photograph by Adison Cooper of Biz Media Studios.